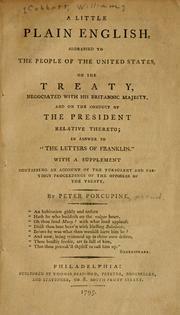 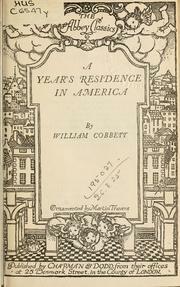 A year's residence in the United States of America: treating of the face of the country, the climate, the soil, the products, the mode of cultivating the land, the prices of land, of labour, of food, of raiment ; of the expenses of housekeeping, and of the usual manner of living ; of the manners and customs of the people ; and of the institutions of the country, civil, political, and religious. 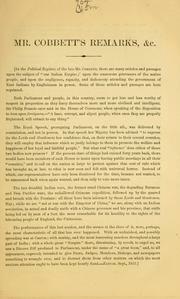 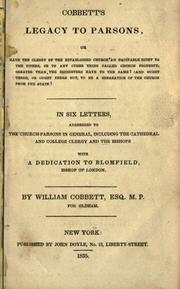 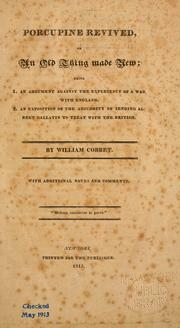 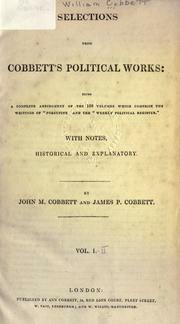 Cobbett's Parliamentary history of England: from the Norman Conquest, in 1066, to the year 1803. 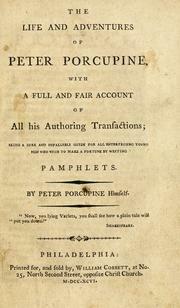 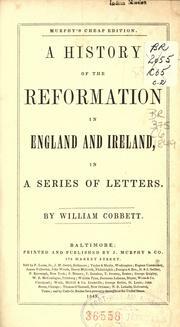 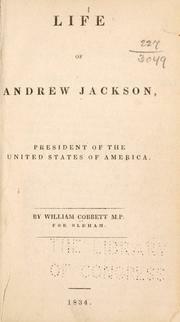 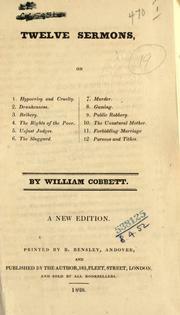 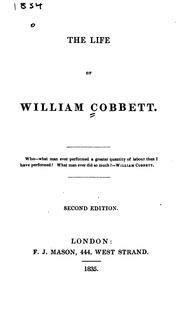 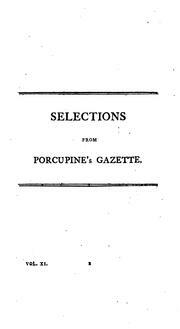 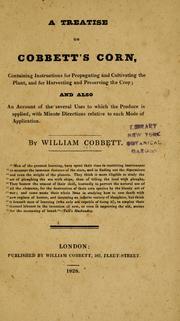 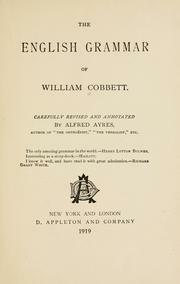 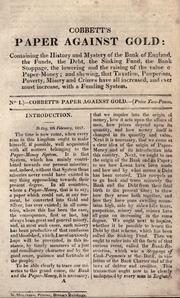 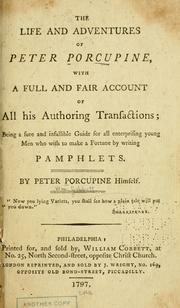 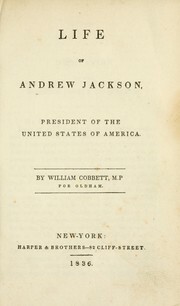 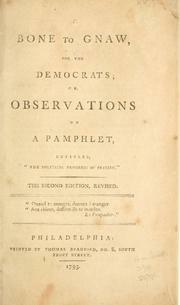 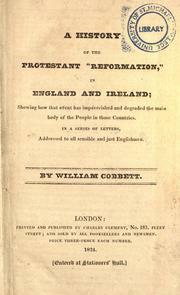 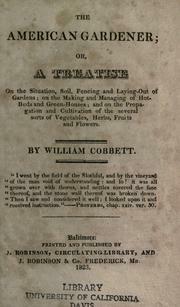 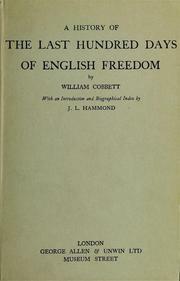 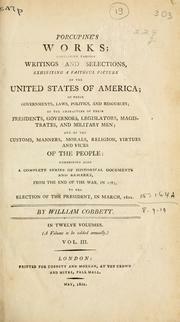 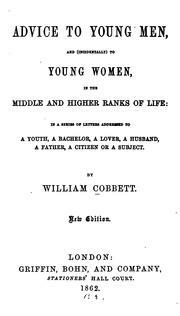 Selections from Cobbett's political works: being a complete abridgement of the 100 volumes which comprise the writings of "Porcupine" and the "Weekly political register"
The American gardener: or, A treatise on the situation, soil, fencing and laying-out of gardens; on the making and managing of hot-beds and green-houses; and on the propagation and cultivation of the several sorts of vegetables, herbs, fruits and flowers. 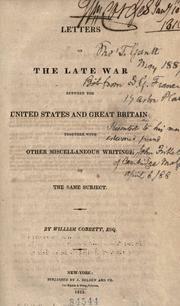 Letters on the late war between the United States and Great Britain: together with other miscellaneous writings, on the same subject. 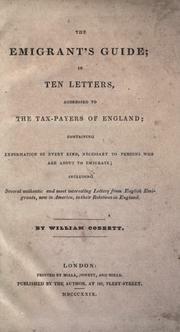 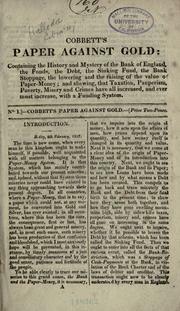 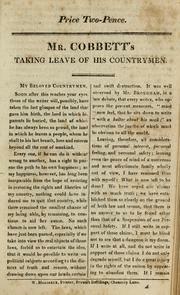 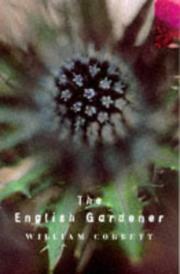 The emigrant's guide: in ten letters, addressed to the tax-payers of England; containing information of every kind, necessary to persons who are about to emigrate; including several authentic and most interesting letters from English emigrants, now in America, to their relations in England. 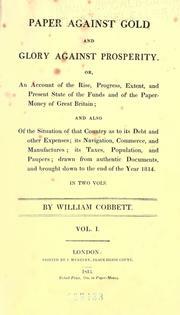 The bloody buoy, thrown out as a warning to the political pilots of America; or, A faithful relation of amultitude of acts of horrid barbarity, such as the eye never witnessed, the tongue never expressed, or the imagination conceived, until the Commencement of the French Revolution ..
Cobbett's paper against gold: containing the history and mystery of the Bank of England, the funds, the debt, the sinking fund, the bank stoppage, the lowering and the raising of the value of paper-money; and shewing, that taxation, pauperism, poverty, misery and crimes have all increased, and ever must increase, with a funding system. 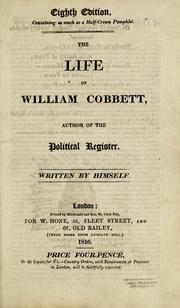 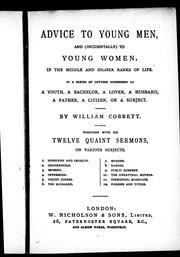 The progress of a plough-boy to a seat in Parliament: as exemplified in the history of the life of William Cobbett, member for Oldham. 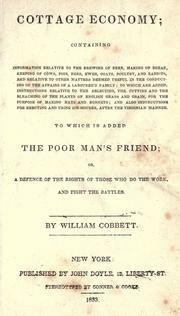 Le tuteur anglais, ou Grammaire reguliére de la langue anglaise en deux parties: Premiere partie, contenant une analyse des parties de l'oraison. 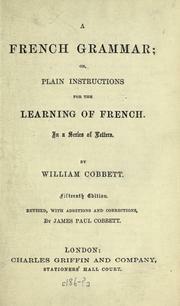 Seconde partie, contenant la syntaxe complete de la langue anglaise, avec des thèmes, analogues aux différens sujets qu'on y a traités. 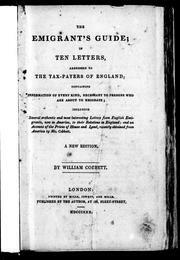 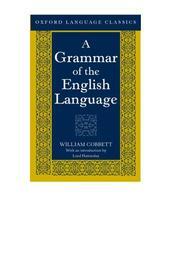 A grammar of the English language in a series of letter..
French arrogance; or, "The cat let out of the bag": a poetical dialogue between the envoys of America, and X.Y.Z. 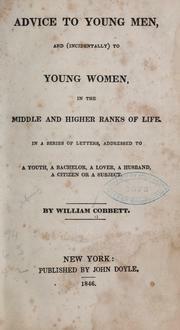 and the lady. 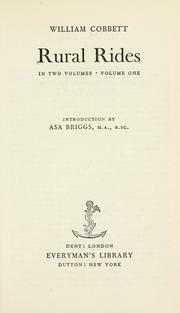 The detection of Bache; or French diplomatic skill developed: Very necessary to be kept in all families in town and country. 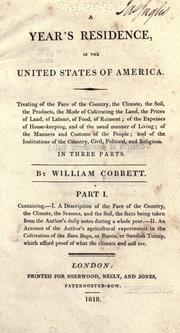 Renewal of Cobbett's Register: address, and, History of Normandy Farm. 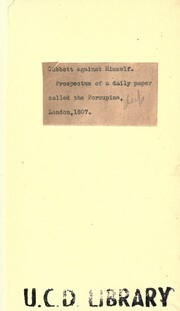 Four letters to the Hon. 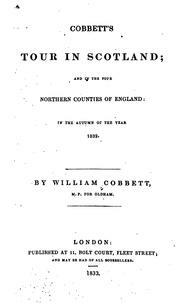 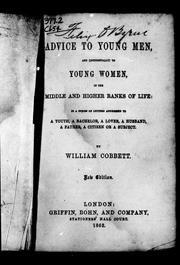 John Stuart Wortley; in answer to his "Brief inquiry into the true award of an equitable adjustment between the nation and its creditors"
Are you sure you want to remove William Cobbett from your list?